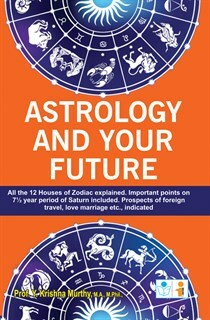 This small book is designed to benefit the ordinary reader who does not know much about the ancient science of astrology. I have not given the calculative part of astrology so that the reader might easily follow the classical rules. Astrology is an indicative science. It indicates, to a certain extent, what is likely to happen in future. But as we all know it is only the creator Brahma who can decide with certainty what is going to happen. I have given in this book a good description of the fundamental principles of astrology according to the classical texts like 'Jataka Chandrika', 'Jataka Parijatha', 'Jathaka Marthanda', 'Uttara Kalarnruta' and others. All the twelve houses of the Zodiac have been explained and treated individually regarding their significations and the position of different planets. A chapter on 'yo gas' has been given separately. Results of different dasas of planets and the Gochara or results of planets in transit are treated in different chapters. A special feature of this book is the inclusion of a few important points on 'Sade Sati' or seven and half years period of Saturn, Mars or Kuja Dosha. A chapter on astrological combinations for success and failure in competitive examinations will be of great interest to students and other aspirants. Factors in deciding children's education will surely interest all parents. A separate chapter on astrological indications for LA.S. and judicial positions in life will be of great interest. A separate chapter on astrological combinations for gains through speculation, lottery and sources of wealth for alliagnas will attract lovers of wealth. Combinations for Gains through Speculation. Content of the book is good, latest edition (i.e. 2013) but the postal charges are more than the actual and the packing of the books was very bad and book received in damaged condition.